I am a big Fan of Hyper-V not because of it’s “Active development strategy” or being a “Microsoft Product”, but due to the quality of virtualization it delivers. Virtuozzo VPS options rely on what is known as a “container-based” virtualization platform. This means that customers using a Virtuozzo VPS will receive a “virtually private” OS. That means Guest OS are not fully virtualized. This means that Virtuozzo VPS will suffer from disk I/O issues. Microsoft Hyper-V VPS provides a fully dedicated OS for a Virtual Machine. This means that your Virtual Machine will have its own separate OS, even if it’s physically located on a server with other Virtual Machines. This dedicated OS in turn allow your Virtual Machine to access the resources it needs when it needs them and may mean less lag in response time. 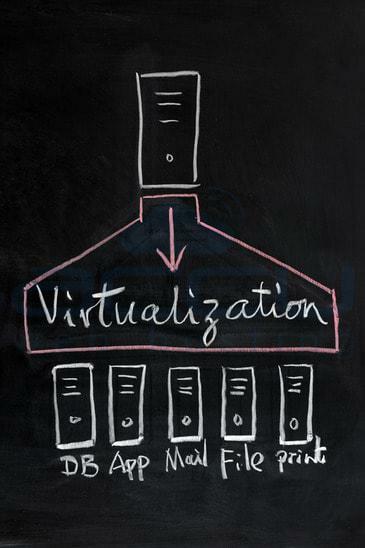 Virtuozzo is a parallel’s product and a software based virtualization platform used to setup Windows VPS. Hyper-V is Microsoft’s product and a hardware based virtualization platform tightly integrated with Windows Operating System. With Virtuozzo the levels of RAM and CPU are not guaranteed – all VPSs will compete for them. With Hyper-V you’re guaranteed the resources you’re given. AccuWebHosting.com is an experienced US Based Windows Hosting Company. AccuWebHosting.com has been providing world class Windows Hosting solutions to the global community for nearly the past decade. Priding ourselves in providing innovative VPS technology coupled with top notch customer service, this credo has allowed not only us, but our customers to experience success and substantial growth. We have successfully hosted 10,000+ domains and 2000+ Windows VPS on our servers. 1. We’re Microsoft approved WebMatrix Compatible Hosting Company. 2. Listed #1 in Microsoft Hosting Gallery. 3. 2000+ Windows VPS Client base created in last 8 months. 4. 10000+ sites hosted on windows shared servers. 5. Expertise in WebsitePanel / Windows Hosting consultancy. 6. Listed as recommended hosting for various ASP.Net components / Shopping carts. 2. Windows Shared Hosting on IIS 7.0 Hosting with WebsitePanel as control panel. What is Virtual Processor or vCPU?